In 2008 David was working for a land developer in Vancouver when his family was faced with the decision of selling the apple orchard that had been in the Matsu family for the past hundred years. Six months later he enrolled in a viticulture program, started Golden Retreat Vineyard Ltd., and found himself knee deep in dirt planting two vineyards totaling 11 acres of vines in Summerland which he has managed for the past 8 years. Reconnecting with the land that his grandfather farmed, David readily embraced the vineyard lifestyle and it ignited his passion for viticulture. He has since taken viticulture, winery assistant and winemaking courses at UBCO. David continues to enjoy learning about new developments in viticulture and enology, and looks forward to taking part in the wine industry as it continues to evolve. David’s additional credentials/experience includes a Bachelor of Science degree, a Bachelor’s degree in Jazz music studies and 3 years’ research experience in parental neuro pathology. Graham and his wife Lyndsay moved to the Okanagan Valley in 2007 after completing degrees in Viticulture and Oenology from Lincoln University in New Zealand. Together with their two boys, Ethan and Garen, they manage a seven-acre vineyard on the Naramata Bench. In October of 2012, Graham left a Viticulturist position of six years with Mission Hill to start Tightrope, a new and emerging winery. 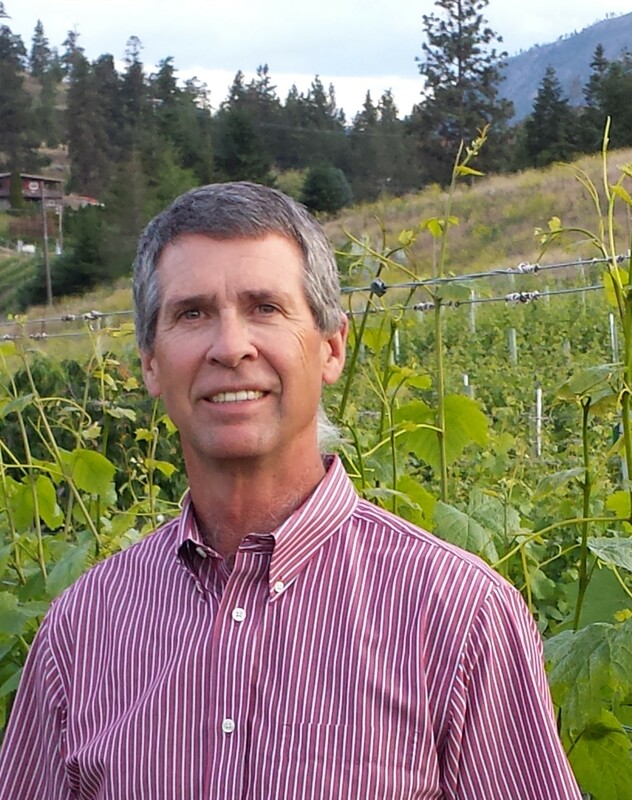 Graham is also an active viticulture consultant throughout British Columbia, helping other vineyard and winery owners achieve their dreams of producing top quality sustainably grown wines. Ken received his Bachelor of Science in Agriculture degree in 1979 from the University of Saskatchewan. From 2000 to March, 2015, he was employed as a Research Assistant in the Department of Plant Sciences at the University of Saskatchewan managing the field research program for weed control in the major and minor crops grown in the prairies. Prior to working at the U of S, he was a Conservation Agronomist with the Saskatchewan Soil Conservation Association promoting direct seeding. Ken has also been involved in a 3,000-acre family farm with his brother. The family farm was sold in 2012, and he and his wife Joy purchased a small vineyard in Kaleden and also started a private agriculture consulting business. One of the projects he was involved with in 2015 was a research trial for the Okanagan and Similkameen Invasive Species Society, to find a control option for Puncturevine in the South Okanagan. They had a couple of products show promising results and there are plans to continue the project for another year. In 2008, Ken was the recipient of the “Distinguished Agrologist” Award from the Saskatchewan Institute of Agrologists, and in 2014, received the “Excellence in Weed Extension Award” from the Canadian Society of Weed Science. Ken has been involved with numerous boards in the past including the Saskatchewan Institute of Agrologist and the Canadian Weed Science Society. 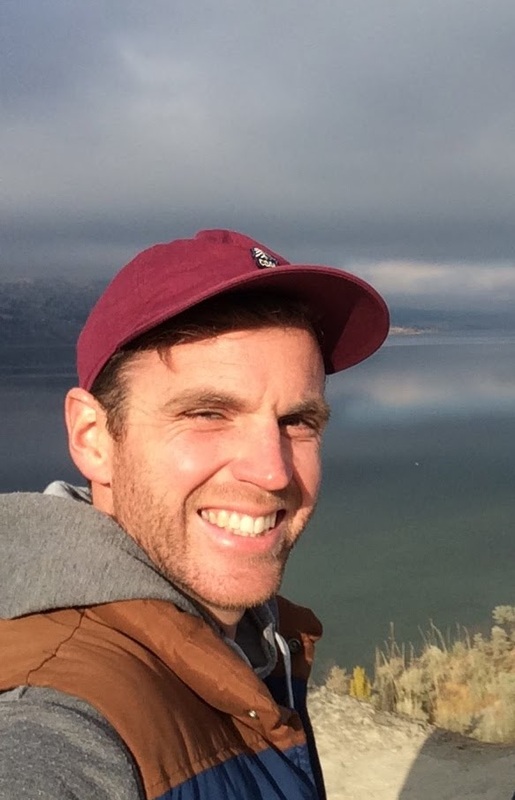 He is very interested in the science and art of growing grapes and believes his prairie agriculture and research background can bring a different prospective to the issues that come before the British Columbia Grapegrowers Association. After working in the marketing and graphic design industry, Ralph & his wife Beatrice decided at age 32 to change their lives and emigrated from Switzerland to beautiful British Columbia. Growing grapes, managing, and establishing vineyards as a viticulturist on the Naramata Bench became Ralph’s passion. After operating successfully as Pegasus Enterprises for 7 years, he decided to expand his viticulture company with 2 partners, and in 2006 they founded Vinifera Custom Viticulture Service Ltd. Today, Ralph has moved more to the background and focuses mainly on consulting for Vinifera. This gives him more time to look after his own farmland in Naramata, which includes 2 vineyards and pastures for their horses. Skip has been married to Judy for over 47 years and they have two boys. Skip graduated from High School at Brentwood College on Vancouver Island. He has a degree in sales and marketing from the University of British Columbia. He started Green Roads Recycling Ltd in 1989 and semi-retired in 2010. He currently only advises his sons who now run the business. Judy and Skip moved from North Vancouver to Naramata in 2003 and started their vineyard on a 52-acre property. They have planted Chardonnay on 7 acres and Pinot Noir on 2.5 acres. Skip is currently planting some test sites using a bush-style farming on more Pinot Noir plants. Their grapes are produced for them under the license of the Okanagan Crush Pad and their label is Coolshanagh Vineyards. Ian joined the board in April 2017. He holds a B. Comm. from the University of Cape Town, South Africa and prior to retiring, was a Chartered Accountant. He is now a grower in Naramata and has been the financial advisor to the Okanagan Falls Winery Association for over 5 years. Prior to retiring to BC, he worked for 30 years in international finance, mostly in the oil and gas industry with publicly traded companies, but also in the fertilizer sector. He held the positions of Chief Financial Officer of Sterling Resources Ltd, Vice President and Controller of Agrium Inc and of Bow Valley Energy Inc, and has held other positions at Dome Petroleum and TransCanada Pipelines Ltd.
Born into a farming family in Ontario, Troy and his wife Michele moved to the Okanagan Valley in 1994. After working one year in the carpentry trade he entered the industry at Quails’ Gate Vineyards. During his tenure with Quails’ Gate, Troy quickly worked up the ranks to a management role. In 2001, he moved south to join Vincor Canada. Troy currently holds the position of Director of Viticulture with Constellation Brands where he oversees 1,100 acres of vineyard and more than 30 contracted growers across the Okanagan and Similkameen Valleys. A firm believer in co-operation, Troy believes that teaming, collaboration and collective learning are dynamic processes that contribute to the ever-increasing successes of the BC wine Industry. My adventure into the Viticulture business took root in 2000 when my wife and I purchased a small acreage and planted our own “retirement hobby” vineyard. Being green to the industry, we contracted expertise from several viticulturist and irrigation experts to gain knowledge. We found immediate intrigue in this field and soon heightened our involvement in vineyard operations by taking on an absentee owner’s neighboring 9 acre property. Demand for service to local properties grew, and as a result in 2003 Earlco was formed, supported by several more vineyard management contracts; we have continually grown since and now manage and lease over 300 acres spanning from West Kelowna to the Oliver-Osooyos area. Earlco now employs 7 managers; my position being 80 acres of vineyard on the Naramata Bench. I have traveled and attended trade shows, Viticulture conferences here in Canada and Germany and traveled to New Zealand and assisted Nick Mills from Rippon Winery with his bio Dynamic approach in wine making and vineyard management. I have also traveled to the Bordeaux and Burgundy regions and observed and learned on the terroirs and goblets style of growing wine grapes. I was the crush pad assistant for Lake Breeze in 2004. The Canadian wine industry is just starting growing and I see with the high quality product we are offering to the international market is just a beginning. John Bayley is a lover of all things wine and vine. He started his career with one of Vancouver’s specialty wine retailers where he developed his palate and passion for wine while also obtaining his Sommelier Diploma. He brings the BCGA his enthusiasm and ideas from experiences working with various wineries and vineyards in places such as Oregon, Burgundy, and New Zealand - where he studied Oenology and Viticulture at Lincoln University. He is now committed to working with the soils of the Okanagan and to helping grow grapes that are a true expression of the land. Growing up in Victoria B.C., Mason was bitten by the wine bug early in life and decided to move to Ontario to study winemaking. After successfully completing his Bachelor of Science degree in Oenology and Viticulture with honors at the Cool Climate Oenology and Viticulture Institute at Brock University in St. Catharines Ontario, Mason moved back to B.C. During Mason’s time a Brock university he completed and undergraduate thesis on the study of Lady Bug taint in wine. After returning to BC, Mason joined the winemaking team at See Ya Later Ranch, as the assistant winemaker and was quickly promoted to winemaker where he held that position for six vintages. During this time Mason also work with Okanagan College as an instructor of both winemaking and viticulture classes. Just before the start of the 2013 vintage, Mason joined the Dirty Laundry Vineyard team. As the winemaker at Dirty Laundry Vineyards Mason oversees a small but effective team that carries out all viticulture and winemaking practices.